As groomers, we strive to perfect our craft by improving our skills, never ceasing to discover new products, improved equipment and grooming tools. As NCGI cat groomers, we are trained to master ’crispy lines’ on our lion cuts, belly and sanitary shaves. The achievement of a ’beautiful draping of the coat’ on a long- haired breed is what we all strive for. Excellent handling skills are essential to conduct a proper groom. Cats are unique creatures with a multitude of emotional and mystical levels. They are the masters of meditation, breathing and the art of quieting the mind. These gifts project a tranquil and relaxed energy, which is a vibration that is extremely attractive in this loud and overly stimulation world. We are far from knowing all the dimensional gifts this animal possesses. From the time we put our hands on them, we are in the presence of the Whole Cat. Your confidence must flow from your heart, down your arms and into your hands. 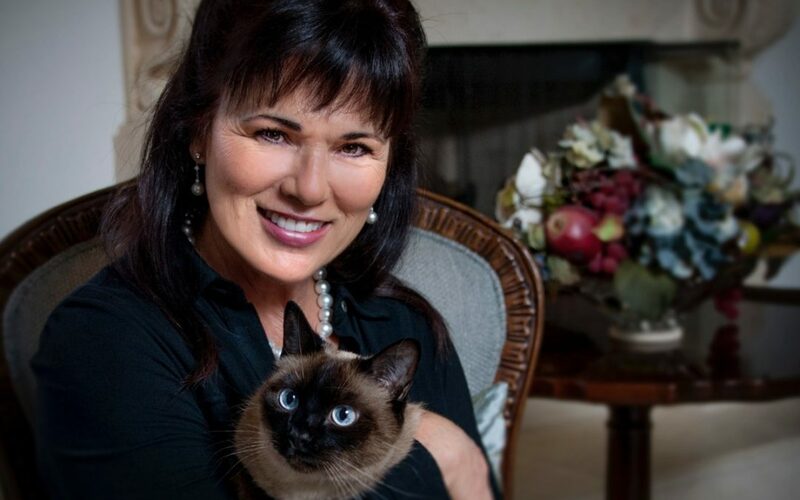 Your energy, compassion and loving understanding of the feline psyche is essential. This will determine what impact this encounter will imprint on its well-being. It is a policy of our business to call the clients the next day after a grooming appointment to hear about the cat’s reaction and to answer any questions the owner may have. A common inquiry is, “What did you do to my cat? He is so much calmer and seems so happy. Did you drug him?” We chuckle and explain that most cats absorb the intense attention we shower on them in the short time they are with us. They glean the contentedness and assurance that we pass on to them. Of course, being free of oil, dirt, dandruff and mats adds to the overall sense of wellness in the body. Because this mysterious animal is prolific, we find numerous cats in shelters, feral colonies, on the streets and homes all over the world. They are taken for granted by many and have not been cherished as they once were by ancient civilizations. What is even more interesting is that humans have lived with cats for centuries and only recently have they been accepted as an animal that needs grooming. Cat groomers are looked at as an anomaly, and the idea of cat grooming is thought of as a ’fringe’ business. Only those of us who groom cats know how much relief we give these animals from the pain of pelting, the discomfort of matting, and the misery of skin disorders caused by these conditions. 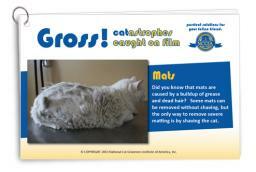 As we are taught, the number one reason the client will call us is because they have a problem concerning their cat. A majority of people do not know how to address these grooming issues on their own and seek outside help. We always remind them that we are not veterinarians and any health issues should be discussed with one. However, we answer a lot of questions that enhance the quality of life and relationship between the cat and their person. 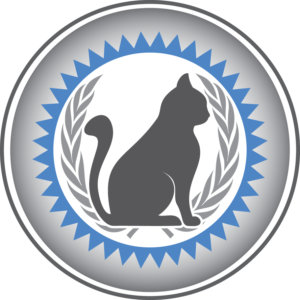 A feline in need of a bath and grooming is generally considered a nuisance, and if not addressed the animal will generally be treated with diminished respect. 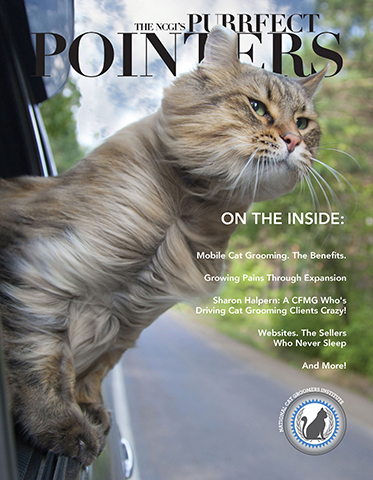 Feline groomers recognize the value in every cat, and we wrap our hearts around our work. Our profession has been underpaid for many years, and to stay in business it is necessary to work long hours which puts us at risk to sustain physical injuries and eventually we just burn ourselves out. Grooming takes a general toll on the body. It is imperative to be able to perform the work with the least amount of stress and to get the compensation that is fair to keep a groomer motivated and feel appreciated for their talents. Once we truly realize that we are elite in our business and that there are very few people who can master our craft, we should feel confident to charge what we are worth. It is not customary for people to barter or haggle with their hairdresser, dentist, doctor, or veterinarian for their services; why should it be so with our profession? We rigorously took the time and expense to educate ourselves. We are competent, proficient, passionate and employ the best equipment and products. We are rare individuals who chose to take the road less traveled. 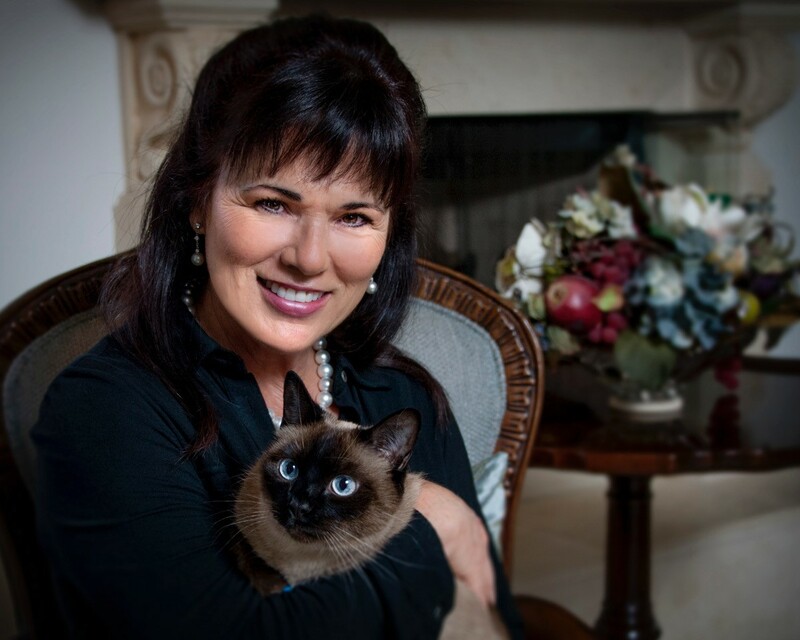 Clients who truly care for their feline companions will actively seek out a skilled professional to care for their cat grooming needs, and these individuals are considered conducive to our business. Society is becoming more conscious, compassionate and educated to the needs of this beautiful animal and it is thrilling to facilitate this awakening of the human spirit. As Danelle continually expresses, “We are saving the world one cat at a time.” I, for one, am very proud to be doing just that. 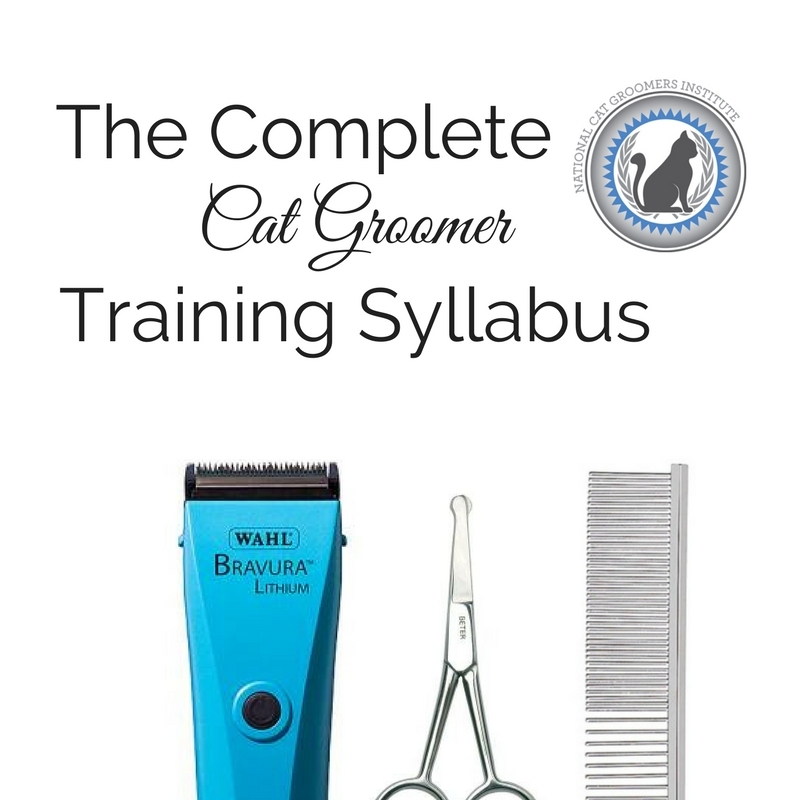 Get more information on becoming a Certified Feline Master Groomer like Sharon! I want to be like Sharon!